A couple of weeks ago Toronto based drone duo Northumbria released their second full length titled Bring Down the Sky. To celebrate they’re bringing their live improvisations to the Garrison (1197 Dundas St W, Toronto, Ontario) for a CD release show on December 11, 2104 at 9pm. 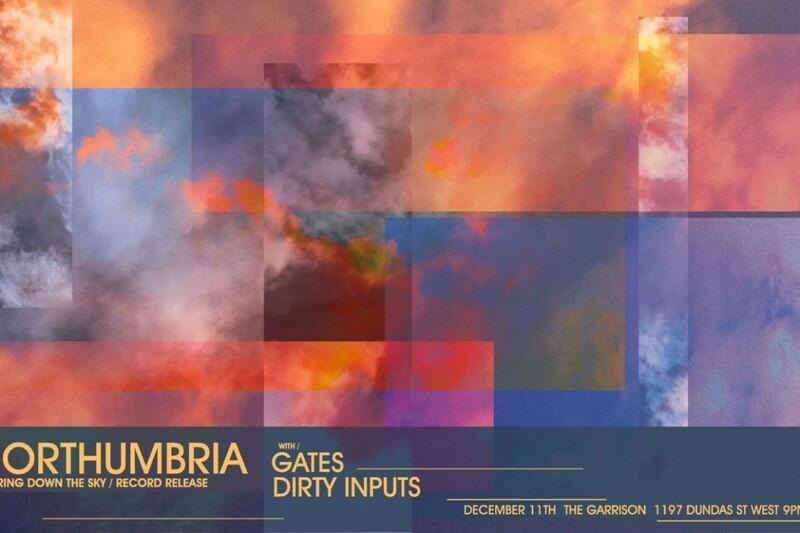 Joining them will be fellow experimentalists Gates and the synth driven Dirty Inputs. A full review of Bring Down the Sky is forthcoming, but in brief it’s amazing what Jim Field and Dorian Williamson are able to coax out of a guitar and bass. Rich textures of sound form their own worlds full of lush and complex sonic landscapes. With no vocals, percussion or tangible riffs your mind is left free to explore the universe that forms around you as the sounds guide your journey. It truly is an experience to listen to Northumbria’s music. And it would be quite another to actually feel their dystopian emanations in the flesh. Sure, it’s a Thursday night but it’s not like a mosh pit is going to breakout so you should be fine on Friday.